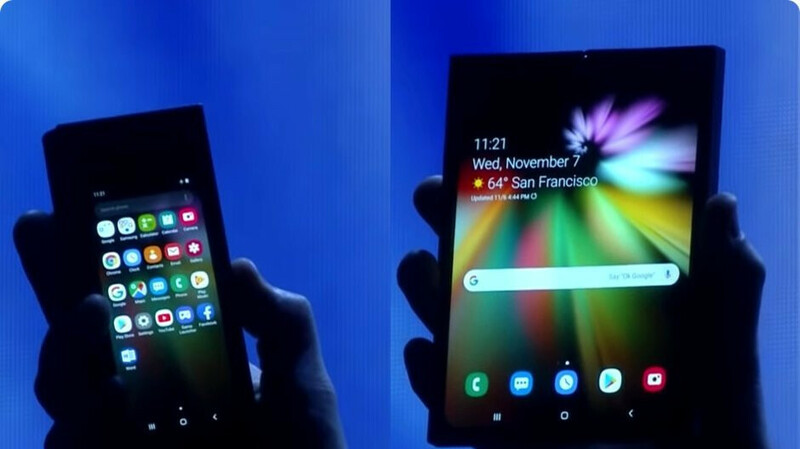 Samsung’s first foldable phone is so close we can almost see ourselves whipping it out of the pocket and unfurl it to take advantage of the full 7.3 inches of “Infinity Flex” screen real estate. But apart from not knowing exactly how the revolutionary device will look, we’re also not sure about its official name, not to mention the most essential detail of all. An exclusive new Gizmodo UK report seemingly provides clarity in regards to both branding and pricing, although it’s probably still not wise to take anything for granted. A mysterious tipster that the publication claims to have verified as a Samsung employee expects the Galaxy Flex to cost anywhere between £1,500 and £2,000, which may sound insane at first. That equates to a $1,925 – $2,570 range, but such a straightforward conversion is obviously not relevant. Instead, if this inside information proves accurate, we can reasonably anticipate a recommended price of between $1,500 and $2,000 for the Samsung Galaxy Flex in the US, which always felt like a relatively safe bet. Interestingly, while all major US carriers are tipped to support the versatile tablet-transforming handset, EE might be granted UK exclusivity. That’s not entirely shocking considering the limited numbers Samsung plans to initially produce, but it’s probably still a little sad to hear for our British readers. On the bright side, EE is the nation’s largest wireless service provider. Despite the one million units or so expected to be manufactured at first, the reason we don’t have a more specific price point to share with you is reportedly the existence of “multiple” Galaxy Flex versions, the highest-end of which could circle the $2,000 mark (£2,000 in the UK). As for that newly rumored moniker, you have to admit Samsung Galaxy Flex has a nicer ring to it than Galaxy F or, even worse, Galaxy X. Still, you’ll want to remember to keep the proverbial salt shaker nearby. Next post: MobileFun offers tons of Black Friday discounts, including a Samsung Gear 360 for just $86!